Ulveryggen Cu mineralisation in Repparfjord within Kvalsund municipality in Arctic Norway was discovered around 1900. Mining operations took place from 1972 to 1978, when about 3 megatonnes of 0.66% Cu was produced from four open pits. The adjacent Nussir Cu ore deposit, discovered in 1979, contains 25 megatonnes at 1.16% Cu. Tailings from mining in the 1970s were deposited at the bottom of Repparfjord. The same strategy is being considered for mines to be opened in the near future. Therefore, it is of interest to assess the environmental impact of submarine tailings disposal. Submarine tailings disposal is the discharge of mining tailings below sea level. Three different types can be defined: coastal shallow-water disposal or land reclamation; submerged disposal in water shallower than 100 m; and disposal in deeper water. Norwegian authorities consider submarine tailings disposal to be a legitimate and viable alternative to terrestrial storage. Globally, submarine tailings disposal has been practised on a large scale in several mines since the 1970s. Papua New Guinea has three active sites, while Indonesia, France, Greece and Turkey all have one each. In contrast, submarine tailings disposal is illegal in the United States and Canada and is considered “unsuitable” in Australia. In Norway, submarine tailings disposal has long been used to get rid of waste from mining and ore-enriching facilities, and seven sites are currently active. 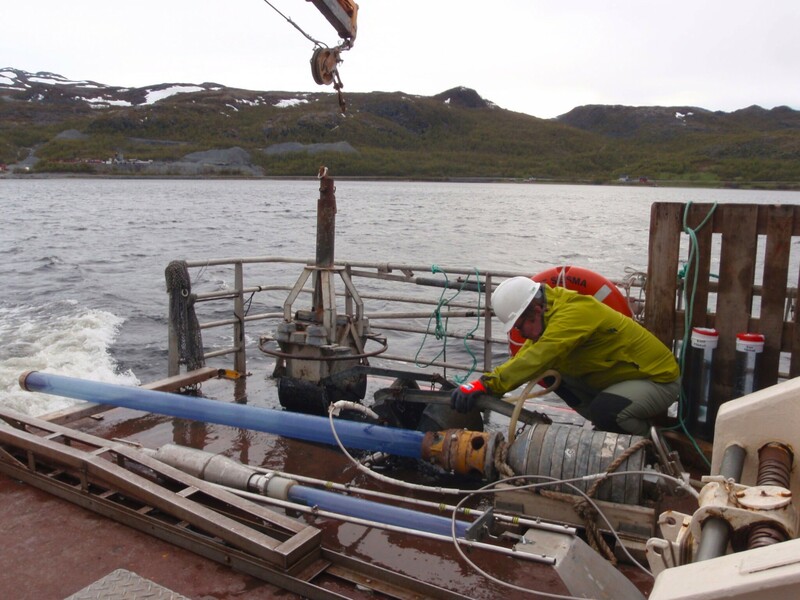 Two more mines are being planned with submarine tailings disposal sites, one of them in Repparfjord. Coarse masses larger than 200 µm will be used in various ways, but the plan is to dispose of the finer tailings – about a million tonnes per year – using submarine tailings disposal. Mining produces vast volumes of waste – rocks from overburden, access tunnels, adits, and shafts – in addition to tailings from processed ore. Tailings are a by-product of the process of extracting ore through crushing, milling and subsequent flotation. In copper mining and extraction, the tailings account for as much as 99% of the total mined ore. The mining operation in Repparfjord will eventually be the largest Cu-ore production facility in Europe and is currently planned for 30 years of operation. Sample locations in Repparfjord, Norway. Marine biota that feeds on the sea floor select food particles based on characteristics such as size, specific gravity and organic coatings. 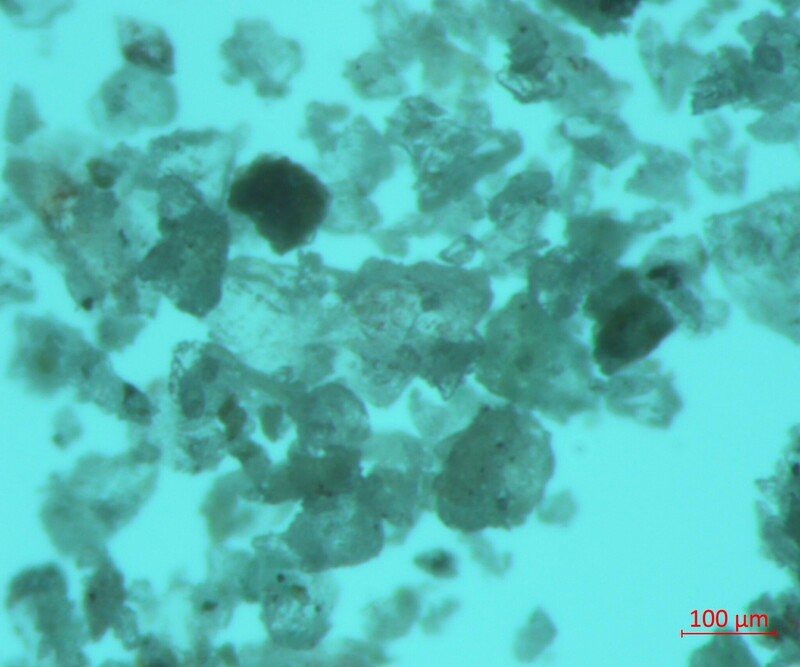 How they are affected by mineral particles in sediments (including tailings) depends on factors such as the particles’ shape, angularity and roundness. 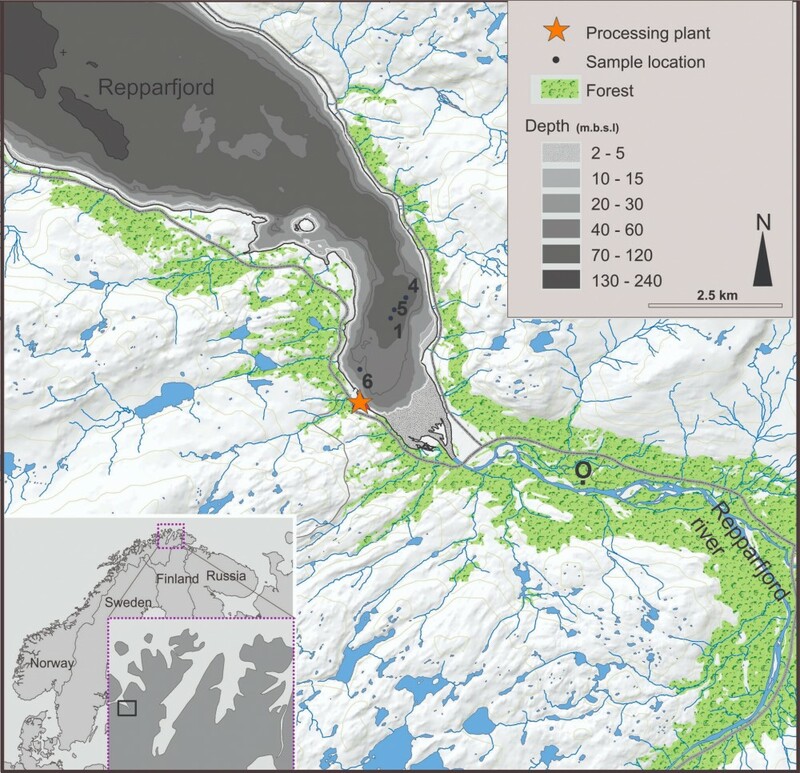 To address one potentially harmful factor, we have compared the roundness of fresh and old tailings sampled from Repparfjord with data on particles from the recent sea floor and river sediments. The roundness of a clastic particle depends on the sharpness of its edges and corners and is closely related to its surface properties. To determine the roundness of individual sedimentary particles, we examined electron microscopic images. By using automated image analysis, we were able to study a considerable number of particles. We found that the roundness of mineral particles in tailings from the old mining operations and from the recent test processing of ore from Repparfjord was similar. 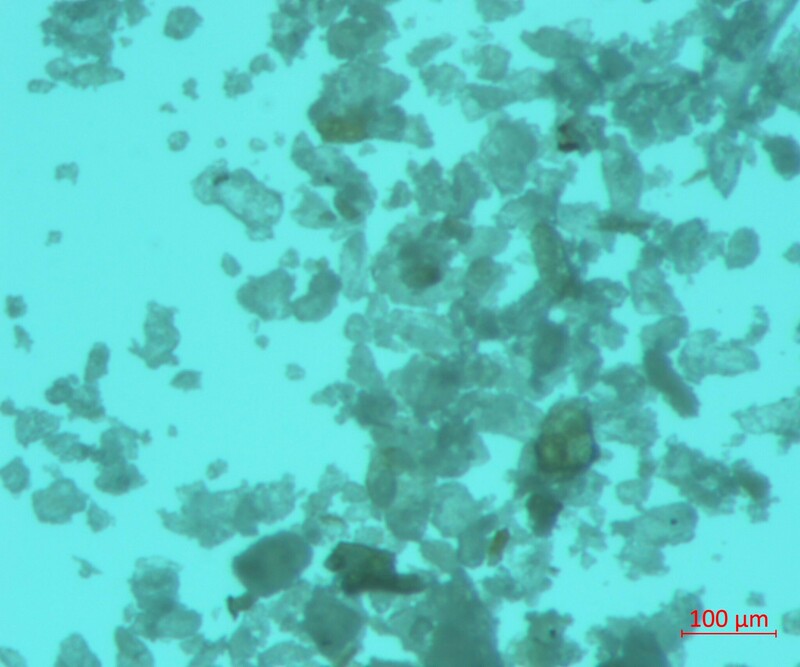 Moreover, the roundness of the particles in fresh tailing samples was similar to that of particles in the recent seafloor samples and in the riverine sediments. If the next mining operation produces tailings with similar particle size and roundness distribution, it is reasonable to assume that its environmental impact will be similar too, all other things being equal. Studies like the one described here are crucial in establishing a baseline for future environmental monitoring of mining operations.